It's been five years since a fast-moving fire on Beacon Street claimed the lives of two Boston firefighters. The relatives of Ed Walsh and Michael Kennedy are hoping to avoid a similar tragedy in the future. 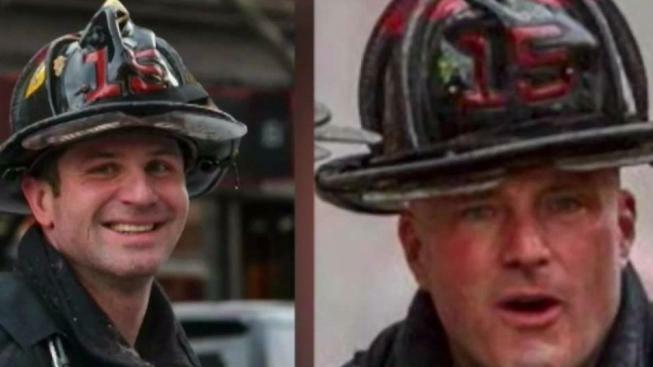 Community leaders are mourning the death of two Boston firefighters who died in the line of duty while fighting a massive blaze in Boston's Back Bay neighborhood five years ago. Lt. Ed Walsh, 43, and firefighter Michael Kennedy, 33, were killed while battling a 9-alarm fire in 2014. The deadly blaze injured 13 others and prompted the fatal victim's families to push for change to prevent future deaths. "Please pause and think about our fallen brothers and their families. May they rest in peace," the Boston Fire Department said in a somber tweet. The fifth anniversary of Walsh and Kennedy's death also prompted a response from Boston Mayor Marty Walsh, who said his thoughts are with the firefighters' families and friends. It’s been five years since we lost Lt. Edward Walsh and firefighter Michael Kennedy in the 9 alarm fire on Beacon St. There isn’t a day that I don’t remember the ultimate sacrifice that our heroes made to ensure safety for others. Boston Fire Department Commissioner Joseph Finn said the department's thoughts and prayers are with the families of the fallen. The deadly fire was ignited by sparks from welders who were working on an iron handrail during gusty conditions. Walsh, a West Roxbury resident, is survived by his wife and three children. Kennedy, who lived in Hyde Park, was single and served as a firefighter for more than six years.